August 1900, a couple of prospectors, spotted a green patch of hillside that looked like it would be good feeding for their pack horses. The green turned out to be part of a mountain of copper ore. Kennicott Glacier in the valley below the mine was named after Robert Kennicott, a naturalist who explored in Alaska in the mid-1800s is where the mines got their name from. A mistake was apparently made on some paperwork when the Kennecott Mining Company was formed, forever spelling it with an “e”. 5 mines made up The Kennicott Mines. Kennecott had five mines: Bonanza, Jumbo, Mother Lode, Erie and Glacier – open pit mining so it only happened in summer. The mine and much of the surrounding area became a National Historic Landmark in 1986 and a part of the National Park Service in 1998. But how many lives were lost during the railroad construction and the mining boom — and the inevitable bust? 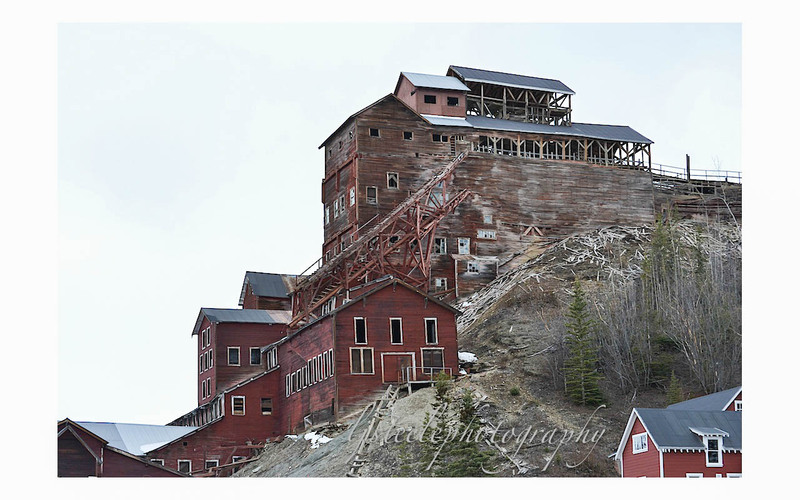 Practically overnight, the once-bustling communities surrounding Kennecott mines turned to ghost towns. McCarthy almost died but hung on thanks to a hard few who continued to work other area gold mines.